Fortunately, there are several free utilities that you may use to clean up your Windows Context Menu by removing all the unnecessary entries that you no longer need. The most popular option is ShellExView, a tool that scans your Windows registry and displays a comprehensive list of every single shell extension that’s installed in your Windows. Sort this list by “Type” and focus on items that have “Context Menu” as the Type. You can disable any of the items you no longer use with a simple click. A problem with ShellExView is that is too geeky a tool for most average PC users. Another good option is Context Menu Editor – this program was written for older versions of Windows but it works just fine on Windows 7. 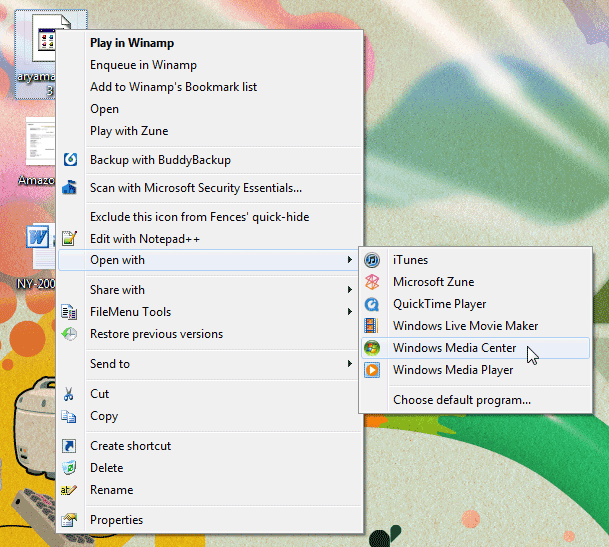 With Context Menu Editor, you can easily remove links to any of the programs – like WinZip, your Virus Scanner, etc. – from the Window Context Menu. The only downside is that these changes are permanent and you can’t add the removed items back into the menu. My next recommendation is FileMenu Tools – it lets you remove items from the context menu but if you change your mind later, you can always re-enable them. Open the program, switch to the “Commands of other Applications” tab and prune all the useless stuff. The same tool can also be used for de-cluttering the SendTo menu. 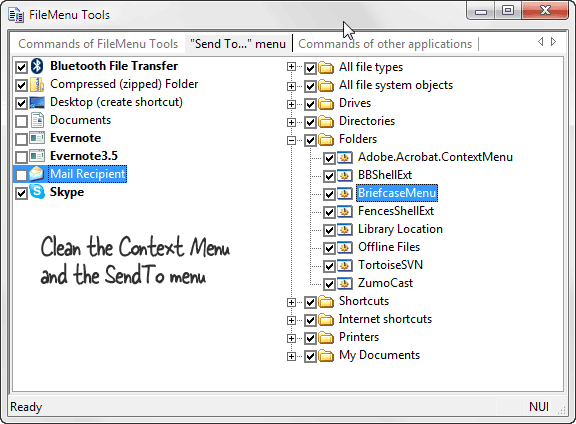 Both Context Menu Editor and FileMenu Tools make changes to your Windows registry and you therefore need to run them as administrator else they won’t be able to save your changes.